Creativity Coach..I wonder how many of us knew this was a career option when we were at school. I am glad Jamie Ridler took that career choice as her work has encouraged me to keep going. I did her 10 week journaling club in the winter season and she comes up with some great ideas. I signed up for a postcard swap on Swapbot where we could not use white card as a base. It was a bit of a stretch to not begin with a painted base so I did some collage on animal print card stock and quite like my creative solution. I finally got three cards in the post. I also enjoy the Creativity Matters podcast. Recently listened to someone who has just published a book on the strength of sketching daily while enjoying her main job of bringing up her family. Hmm...what is beauty? When I first looked at 'True Colours' I thought a lot of the work by those artists was beautiful and it was something I could never emulate. It took months, even years before I signed up for a swap. The first art journal page swap I did was based on the work of Kandinsky...and my partner in Australia said it was amazing. That was very encouraging. I spent ages on it. She has no idea how delighted I was. Sometimes my postcards swaps get 'beautiful ' too. It shows what it truly possible in creativity, along with focus and intention. Day one of the challenge. I thought I would look at 'attempting' today. A couple of years ago I had not heard of artist trading cards or art journal pages. I liked the look of some ATC's that I saw online but decided I could never make them, mainly because I did not know where to start or how to get some of the lovely effects. One day I took the plunge and signed up for a 52 card deck swap. I tried to alter 54 cards and get them posted by the deadline. I did not have many supplies and it was difficult to cover the laminated cards but I was attempting to to the project. Some of the cards were quite nice, some were less so. I did a 2nd series and noticed the improvements, but then left it until recently when I saw there was a new card deck swap. By this time I had realised I can use any card as a base, and it does not have to be a deck of cards as such. 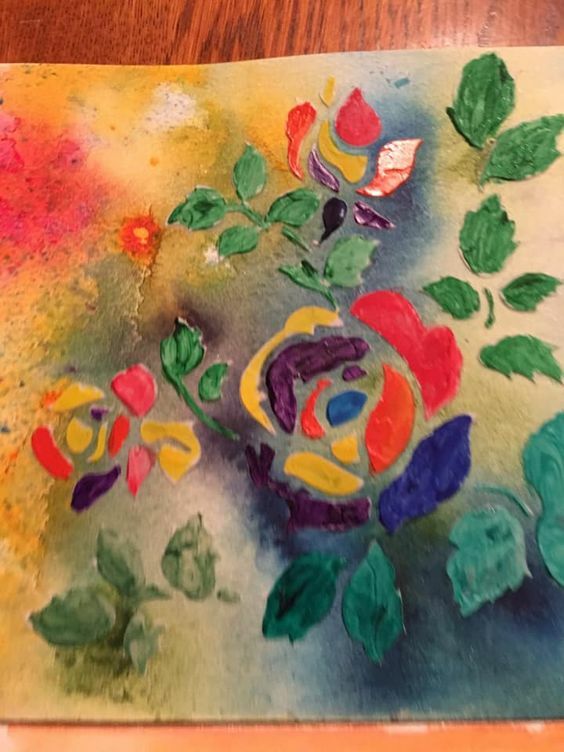 I have also learned a lot of new ideas and have a lot more supplies and a stash of ephemera to play with, so I signed up for this one ..the theme is Creative Inspiration. I've made a start on 8 Frida Kahlo inspired cards and will enjoy the results of this series so much more than my first attempt. ps I offer 15 minute Energy Pulls via Skype or over the phone with a focus on enhancing creativity. I just signed up to do the A-Z challenge again this year. I chose creativity as a theme and wonder what it will look like after 26 new posts .Wish me luck. It was a lovely sunny afternoon with just enough light breeze. I had recently become the proud owner of A sailing licence and this was my first solo venture in a sail boat, loaned to me by the trusting harbour owner. I was aiming to spend a couple of hours on an interesting uninhabited island a few miles from the coast. The plan was to have a picnic and then do some sketching of the unusual trees and flowers I had noticed when the crew visited the island during the final training week at the start of the summer. I had never seen such exotic vegetation even though I lived in Barbados and had travelled widely though India and China in my gap year. After a short walk around the island i came across an fascinating item on the ground. It was the size and shape of a coconut ,light gold in colour with curved spikes growing from it. I thought it might be a seed pod and put it in my rucksack to take to show the sail boat crew on land...someone would know what it was. On my way home I placed it on a seat, where it promptly rolled off , hit the deck with a crack and split i open. Slim gold fingers emerged from the gap, then long scaly arms then a pointed head. An alien appeared from the pod and communicated telepathically. It sensed my terror and decided to morph into an earthly form, hoping I would feel more at ease.Now I was face to face with a baby elephant....what's a girl to do? Luckily the alien realised its mistake and returned to its original form, asking me to take it to my chief. I encouraged it to go back into the pod, and when I reached dry land I kept my promise and took it to the police station. Luckily no-one was at the desk, so I left it there and legged it. What would you have done? This was written as part of a swapbot swap. I was given the words to write 250-3oo micro fiction.